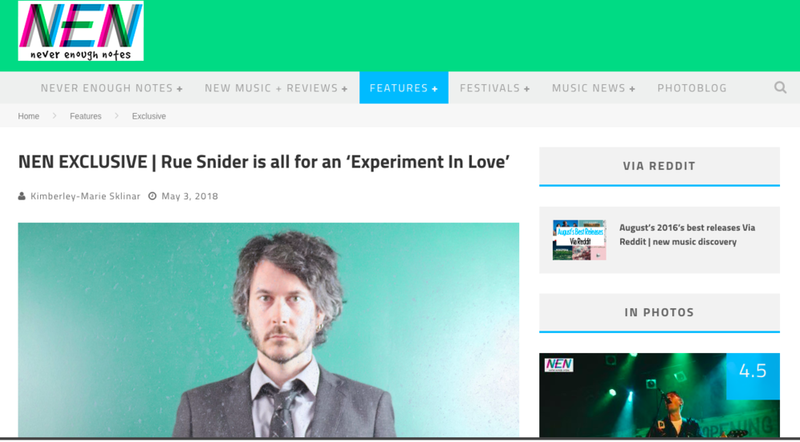 We're excited to announce that Rue's new single "Experiment In Love" is premiering now with Never Enough Notes! Head on over to their website to read more and have a listen! "Experiment In Love" releases everywhere tomorrow.